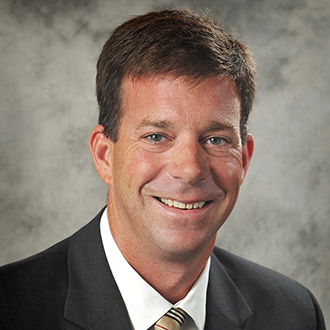 Fred has over seventeen years of experience representing landlords and tenants in the Triangle. He currently handles office, industrial and retail properties and provides advisory services including market analysis, relocation analysis, tenant representation and seller representation to local, regional and national clients. Fred began his career in real estate in the Triangle as an associate at Lyston Farmer & Associates and then worked as a marketing representative for Highwoods Properties. Fred has conducted well over 800 commercial transactions in the Raleigh Durham market and continues to provide Landlords and Tenants with valuable advisory services. Fred was recognized as the “Busy Broker” for the Raleigh/Durham Market by The Triangle Business Journal, representing the most deals for the year and Advisor of the Year for 2011, 2013, and 2014. Fred is a member of the National Association of Realtors (NAR), the North Carolina Association of Realtors (NCAR), the Triangle Area Office Building Association (TRAOBA), The Real Professionals Network and the Triangle Commercial Association of Realtors (TCAR) where he served on the Public Relations Committee. Fred currently serves on the TRAOBA Board of Directors and a member of the Xceligent Office Advisory Board. Fred’s community involvement includes volunteering to help the Boy Scouts of America, the Salvation Army, the North Carolina Special Olympics and the Wake County Boy’s and Girl’s Club in addition to being a member of the Greater Raleigh, Durham and Cary Chambers of Commerce. Fred is a licensed broker with the North Carolina Real Estate Commission. Great North Raleigh location just below Spring Forest and Wake Forest Road intersection.